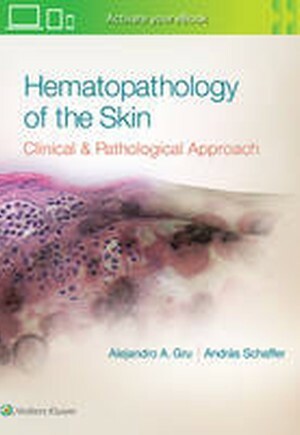 Hematopathology of the Skin provides an up-to-date, interdisciplinary approach to this complex field. Unparalleled in scope, this comprehensive text features a logical, consistent format heavily illustrated with high-quality clinical and pathological images throughout. More than 40 leading dermatopathologists, hematopathologists, and dermatologists from major academic centers in the U.S. and around the world share their expertise and personal experiences with cutaneous hematologic neoplasms, helping you arrive at an accurate, more efficient diagnosis and improve patient care. Uses a consistent chapter format that covers: disease definition • clinical, histological, immunophenotypic, and genetic findings • detailed molecular and immune pathogenesis • detailed differential diagnoses • and a capsule summary. Features hundreds of high-quality clinical and pathological images, tables, and figures that clearly explain key concepts. Follows the classification guidelines of the World Health Organization and European Organization for Research and Treatment of Cancer (EORTC). functional and phenotypic heterogeneity of cutaneous immune cells • molecular biology of T and B cell lymphomas • current and emerging diagnostic techniques • hematologic malignancies that emerge from skin resident or skin homing immune cells • cutaneous metastasis of and paraneoplastic reactions to systemic hematological malignancies • recent advances in diagnosing cutaneous lymphoproliferations in acquired immunodeficiency • cutaneous inflammatory conditions and reactive lymphoproliferations that resemble hematologic malignancies • inflammatory mimickers of early cutaneous lymphomas • new entities such as annular lichenoid dermatosis of the youth • pseudolymphomas stemming from drugs, infection, vaccination, tattoos, and epithelial neoplasia • hematological malignancies in special anatomical regions or patient populations • and adverse cutaneous reactions secondary to chemotherapy and newer targeted anti-cancer agents.